For rooms where natural light and fresh air are desirable, VELUX offers a wide assortment of skylights and roof windows to meet any need regardless of the roof material, roof pitch, construction method or ceiling type. Enhancing life with our most abundant natural resource — light from above. VELUX offers a complete system of complimentary products and accessories for any solution from installation right down to the finishing touches. 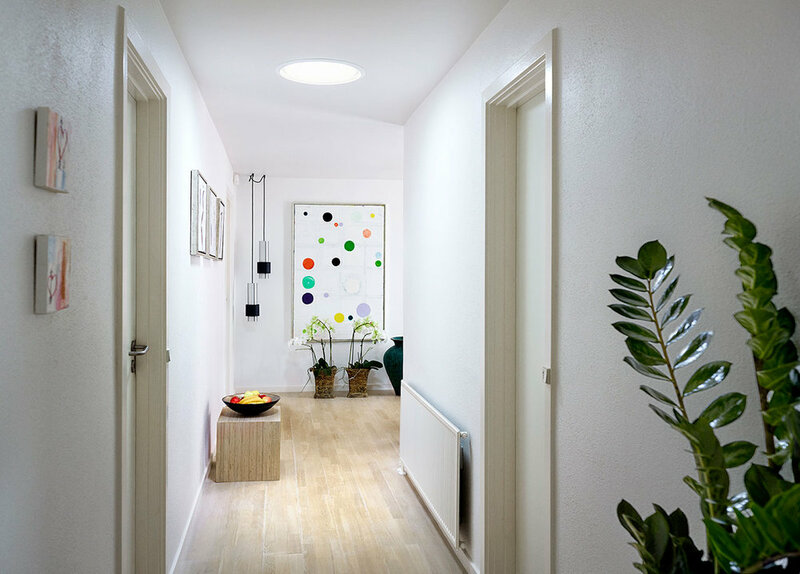 For those applications where natural light is desirable, but a view to the outside is unnecessary, VELUX offers the SUN TUNNEL skylight. This product, available in flexible or rigid models, can bring natural light into places that were previously impossible to reach. VELUX skylights are available in a variety of glazing options, each designed to meet the needs of specific building situations. All VELUX skylight glazings are built using energy efficient, LoE3, Argon gas injected dual glass panes. By using our complete system of daylighting products, you will be able to control the light and heat gain to the level with which you are comfortable. The graphs below show the progression of protection and energy efficiency available from VELUX®.